Pulse oximeter is a medical device used to measure the percentage of blood oxygen saturation level in your body. There I will briefly talk about the advantages and the difference of it. Firstly, the size of it is not so large, they can fit in your pocket; it's perfect for kids; it's also more affordable than bringing your kid every now and then to the doctor to have his blood oxygen levels checked. parents can bring this small device to monitor their child's blood oxygen saturation wherever they may be. They can just put this on the kid's finger for a few seconds to determine the SpO2 levels and when if it is at normal rate, then they can stop worrying or they can immediately call the doctor's attention if he needs supplemental oxygen. Secondly, the gap involving the pediatric pulse oximeter devices from your other devices is that this is especially manufactured for children. The opposite type may be the adult oximeter device that is definitely bigger than the pediatric finger pulse oximeter. A real difference could be that the size of the finger has a smaller footprint because to enable oximeters to function well, the finger has to be fitted perfectly to your device. In any other case, then it will have errors in the measurement. 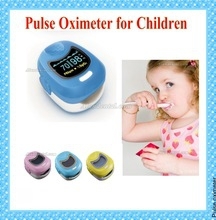 If you would like pediatric pulse oximeters for the kid, you should buy online. There are lots of oximeters currently available in alandental. Seek out Approved by the Alandental oximeters and appearance the conditions and terms and locate user-friendly pediatric oximeters before selecting them.